Writer Hoang Phu Ngoc Tuong describes the events of the Hue uprising. While he recalls that it was considered a victory, he notes that the Americans retaliated harshly. 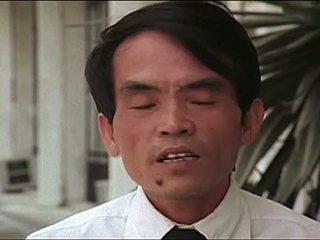 Hoang Phu Ngoc Tuong describes the Nine Tunnels where communist supporters were held and states that Ngo Dinh Diem forced all Buddhists to convert to Catholicism. This led to the Buddhist uprising and citywide protests, which eventually led to the end of the Ngo Dinh Diem regime. Chicago: “Vietnam: A Television History; Tet, 1968; Interview with Hoang Phu Ngoc Tuong, 1982,” 02/28/1982, WGBH Media Library & Archives, accessed April 19, 2019, http://openvault.wgbh.org/catalog/V_226B408F90EB4A4BA79758A8625F0005. MLA: “Vietnam: A Television History; Tet, 1968; Interview with Hoang Phu Ngoc Tuong, 1982.” 02/28/1982. WGBH Media Library & Archives. Web. April 19, 2019. <http://openvault.wgbh.org/catalog/V_226B408F90EB4A4BA79758A8625F0005>.